I have to say I was very pleasantly surprised with this year's medal winner, Finding Winnie, written by Lindsay Mattick and illustrated by Sophie Blackall. I really liked this book, and found the story fascinating. I always knew Christopher Robin was a real person, and that A. A. Milne had based his stories on his son and his stuffed bear, but I never knew there was also a real, live bear ultimately behind the character of Pooh. Not only was the story fascinating, I loved the charming way it was told, with the author describing how she told the story to her young son at bedtime. I could just imagine the scene playing out. 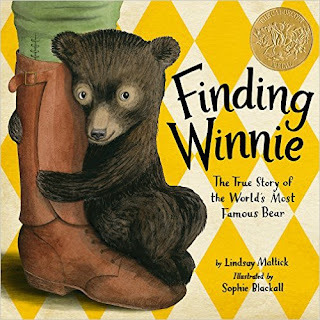 I found it even more special when I realized that the author is the great-granddaughter of the veterinarian who rescued and named the real Winnie. I had heard a couple of people mention Sophie Blackall before, but I was not really familiar with her work, other than the slightly strange and misogynistic children's story by Aldous Huxley (better known for A Brave New World) she illustrated called The Crows of Pear Blossom that I came across one day while shelf-reading. Overall, I think her illustrations in Finding Winnie are very charming and detailed, and evoke the feeling of the time period. I like that they are colorful, yet slightly softened and subdued, and I enjoyed some of the details, showing Stonehenge in the background on the way to London, for example. I think the pictures did an excellent job of telling the story. The only slight criticism I have is that a few of the faces, particularly ones in profile or partially turned, looked a little odd. But overall, the illustrations were perfectly suited for the story. This book is a little long for younger kids, but kids who have a long enough attention span would enjoy this as a one-on-one read, particularly if they are Winnie-the-Pooh fans. Adults who enjoyed Pooh as children, or with their children/grandchildren, would also enjoy learning the story of the real bear behind the book character. Waiting by Kevin Henkes just seems very blah to me. It is a very simple story, with simple pictures. I do like that the illustrations are simple and uncluttered, which works much better for the younger kids this book seems to be intended for. However, I feel like the pictures are just too pale and pastel. Part of that is personal preference, but also from a child development standpoint, younger children tend to prefer brighter colors and more contrast. 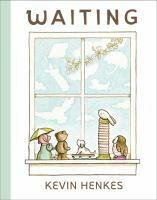 It's an okay book, and I do like how it shows all the passing seasons and everything else the toys observe as they are waiting at the window. I just wish there was a bit more color and more of a point to the story. And I just know kids are going to ask why the rabbit pushed the ceramic elephant off the shelf! It's not a bad book, but I'm just not seeing why it's noteworthy, either. 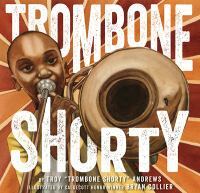 Trombone Shorty is an autobiography by Troy "Trombone Shorty" Andrews, illustrated by Bryan Collier, and tells the story of how Troy grew up in New Orleans, and while his family may not have had a lot, they always had music. I think the story does a good job of encouraging kids to follow their interests and work hard. The illustrations are a combination of watercolor and collage, using photographs. Personally, I would have preferred just the watercolor pictures; the addition of cut-outs from photographs just looked out-of-place to me. The watercolor pictures were very well-done, however, and helped tell the story. If I hadn't read all the notes at the end, though, I would've totally missed the intended symbolism of the balloons, and I'm sure most kids would as well. This book also won the Coretta Scott King Illustrator Award. 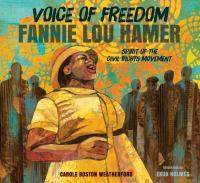 Voice of Freedom: Fannie Lou Hammer, Spirit of the Civil Rights Movement was written by Carole Boston Weatherford and illustrated by Ekua Holmes tells the story of Fannie Lou Hammer, who became a prominent figure in the civil rights movement. The story is told in a series of short passages, each describing a point in her life. The illustrations are beautiful and impressive, and do a wonderful job of conveying the story and events of the civil rights movement. I noticed the predominant use of the color yellow, perhaps an homage to Fannie's birthplace, Sunflower County, Mississippi. While this is a picture book, it is probably better suited for school-aged readers because of the large amount of text and information, and mature subject matter. Younger kids might enjoy looking at the pictures while an adult who has already read the story tells them about it without trying to read the text in its entirety. 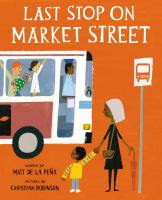 And finally that brings us to Last Stop On Market Street, written by Matt De La Peña and illustrated by Christian Robinson, which also won the Newbery Award and was a Coretta Scott King Honor book. I think this book is a great choice for a Caldecott or Coretta Scott King award/honor book, with it's positive portrayal of urban life and the illustrations which portray a truly diverse population as part of everyday life. 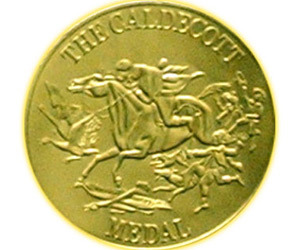 However, I would not have given it the Newbery over books like Echo and The War That Saved My Life. 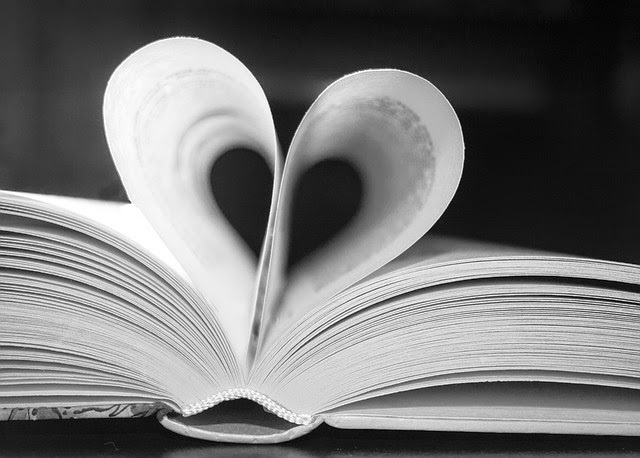 I just don't think you can compare picture books with novels. 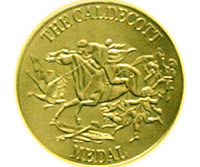 For a more detailed review, see my previous post "My Thoughts On This Year's Newbery Medal Winner. This is another book that is well-suited for young children. Well, there you have it. These are all decent books with some good or even great artwork, but Finding Winnie is the only one I would say I really loved. I'd love to hear what some of you think! Please leave your thoughts in the comments.